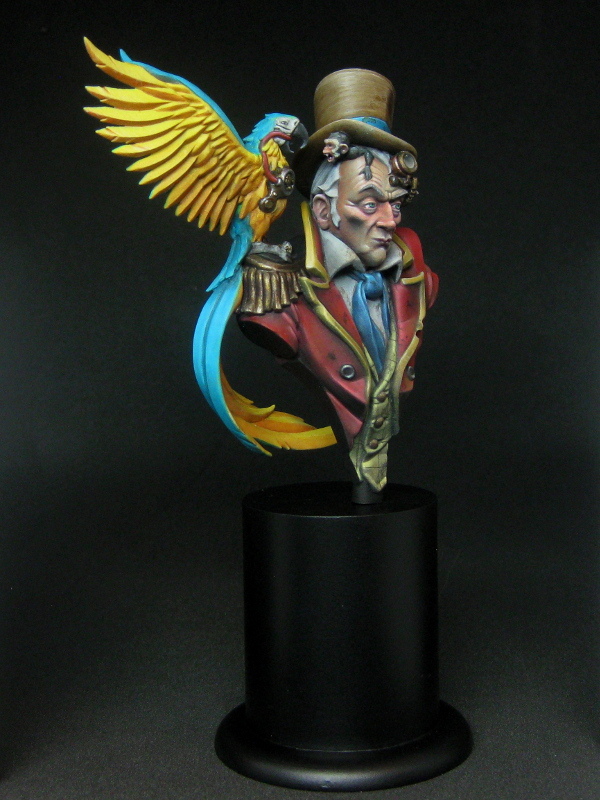 Uncle John by Infamy Miniatures is complete! 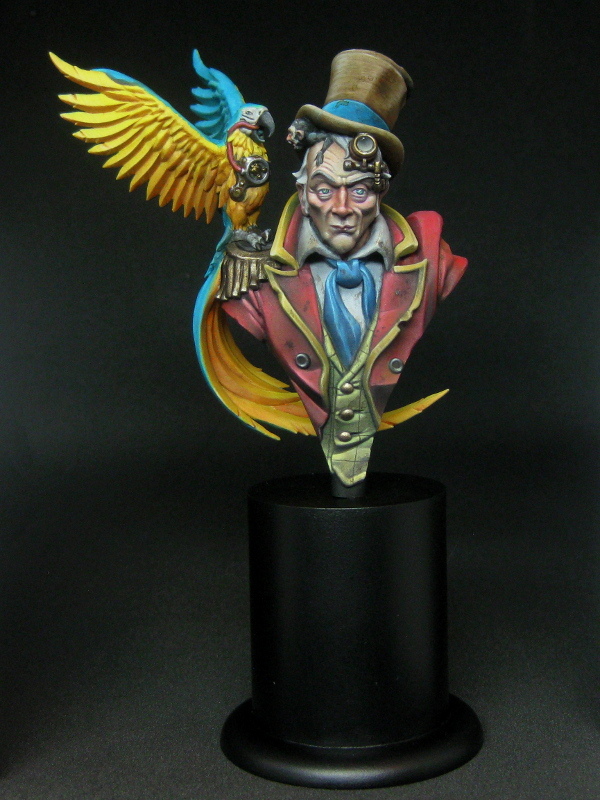 So 2015 has started with a bang… have a few finished pieces posted already this year and a few other bits already on the workbench. 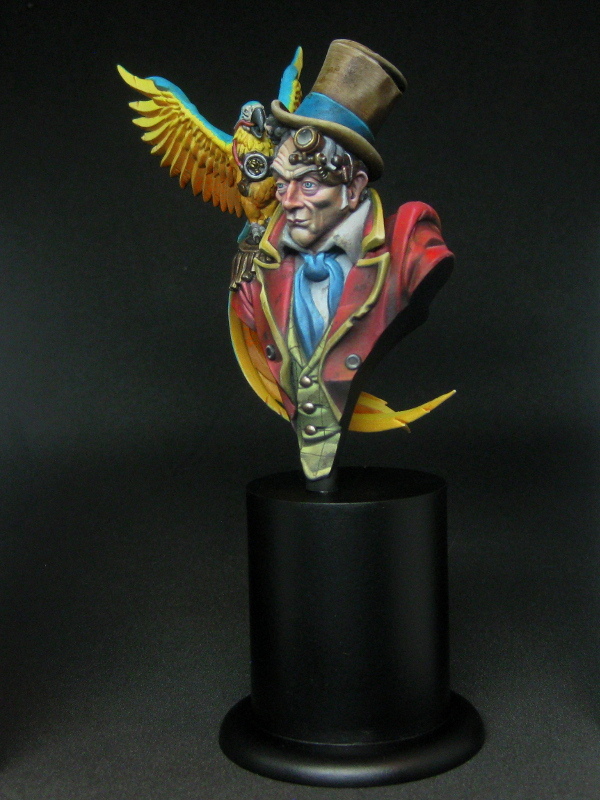 So far though, my previous posts have been about miniatures I have painted in a really quick time, but this bust has taken considerably longer (I first posted about this bust in June 2014), but I hope you will agree it has been worth it in the end! 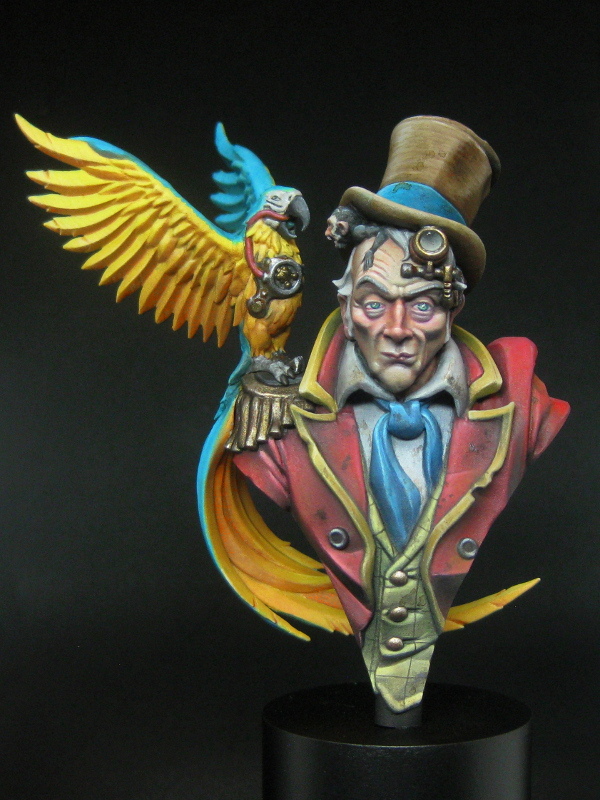 ‘Uncle John’ is the first in a small range of busts being brought out by Infamy Miniatures to go alongside their ‘Welcome to the Big Smoke’ Kickstarter miniatures they are releasing. The next one is Nikola Tesla himself, which I am looking forward to seeing in the flesh… definitely one to get! Especially if he is anywhere near as well sculpted and cast as Uncle John. I struggled to find a plinth to suit the miniature, and spent a long time trying to work out which one out of the many I have in a box here at Bodger HQ, but failed miserablly… that was until T brought a lid to a Clinique product to me! I had thought about using it ages ago but had completely forgotten about it! It was round with a diameter of 30+mm so after attaching it to a Warmachine base and filling any nasty gaps with miliput, I had the perfect plinth! 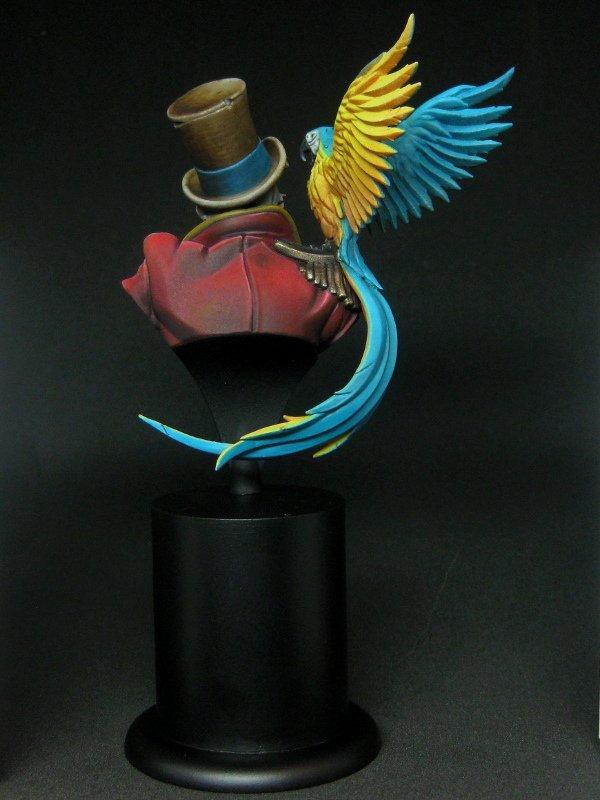 These photos can also be found on Putty and Paint: http://www.puttyandpaint.com/projects/6544 and Cool Mini or Not: http://www.coolminiornot.com/372868 If you feel inclined to pop over and vote, that would be great! Putrid Blightking – painted in a week…!